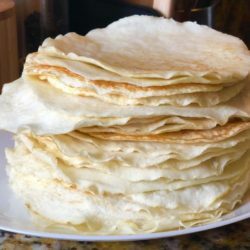 In Keto-land there is no traditional bread. What do we do? 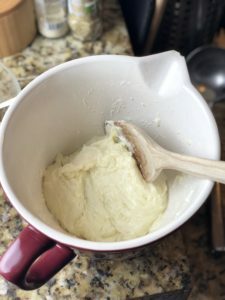 Just 5 ingredients that I always have on hand plus a few tools and you’ve got a new kind of bread. 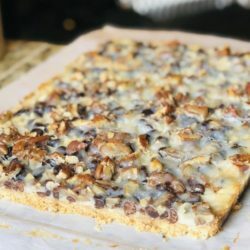 Introducing Fathead Dough! Oprah LOVES bread…and quite frankly I do too, but it’s filled with carbs. 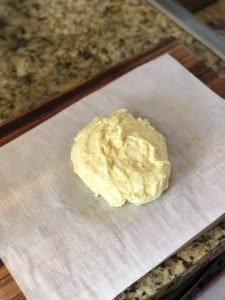 Fathead dough is the answer for many following a keto lifestyle. In the Standard American Diet there’s bread in every meal and snack. Theres bread EVERYWHERE and it’s part of the problem. Bread is a holder of contents-Sandwich, pizza, calzone, pita falafel, wraps..it’s all bread! Fathead dough is so versatile. Add or subtract the seasonings for a sweet, savory or neutral fathead dough base. Whatever you decide you’re making you can then add a protein or more seasonings to make your meals. 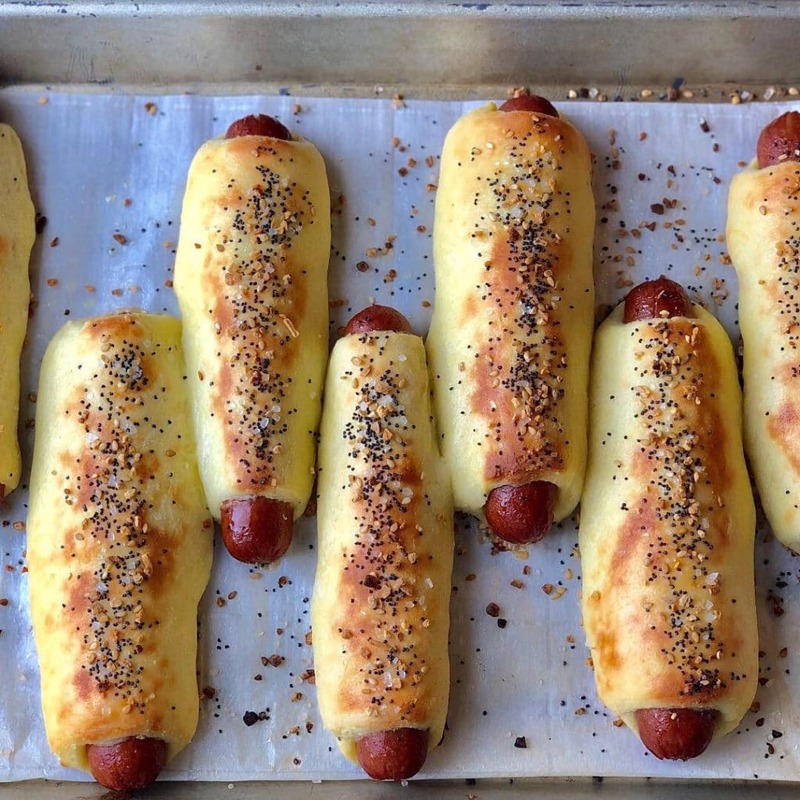 Whether its pizza or pigs in a blanket or bagels or cinnamon rolls or focaccia bread…and the list goes on. 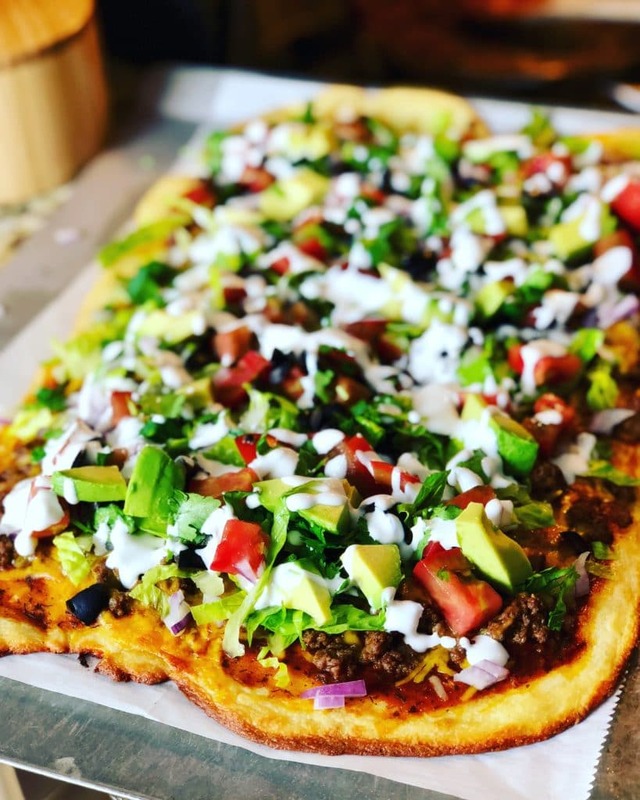 And don’t forget my Fathead Taco Pizza!! 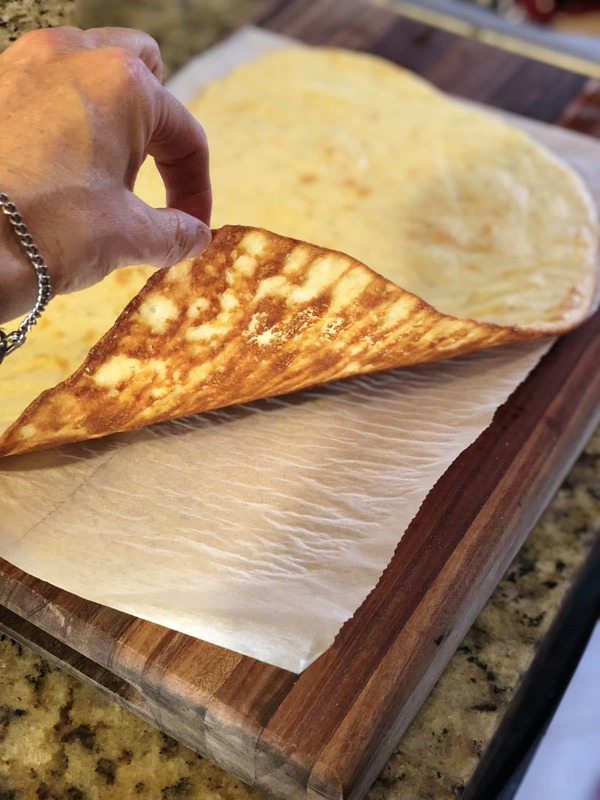 The four basic ingredients for Fathead dough are Cream Cheese, Mozzarella Cheese, Almond Flour and an egg. If you’re going savory then you add garlic powder and/or rosemary or whatever seasonings you like. 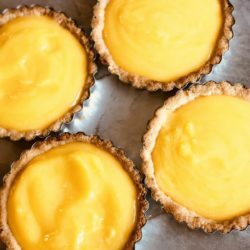 If you’re going sweet you many add lemon zest, a splash of vanilla or stevia and maybe a sprinkle of Allulose. And lastly there’s a neutral option..don’t add any seasonings. The egg HAS to be room temperature. 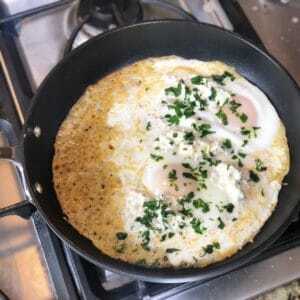 The last thing you want to do is add a cold egg as that will seize up the melted cheeses. 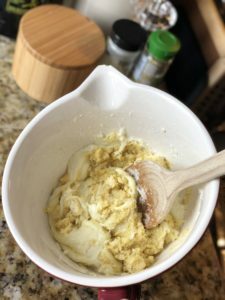 The dough it self is not super difficult to make, but adding a cold egg makes coming together very messy. Don’t despare if you toss in a cold egg…just wash your hands and then get in there and mix by kneading with your bare hands. Before you pop the cheeses in the micro to melt, put your egg in a cup of luke warm water. NOT warm or hot water because you will cook the egg. We are just trying to bring the egg to a neutral temp. Let the egg sit in that luke water for a few minutes. 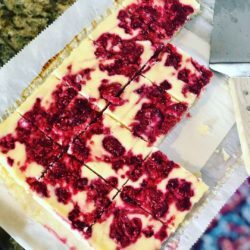 Get the oven turned on, put your pizza stone in the oven, get all your ingredients out on the counter, get your parchment paper and cookie sheet out, measure your almond flour and then melt your cheeses in the micro. By the time you’ve done all the other prep work your egg will be close enough to room temp. What we are trying to do is NOT throw a freezing cold egg into your holt melted cheeses. Even when the egg is room temp the dough takes a good strong stir to blend together. Trust me…bring your egg to room temp before you mix it into the Fathead dough. This dough is so versitle that I use it for pizza, pigs in a blanket, calzones and even lasagna. 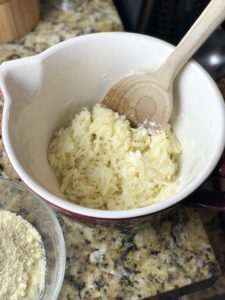 Take cheese out of microwave and stir in the almond flour and egg until it forms into a sticky ball of dough. 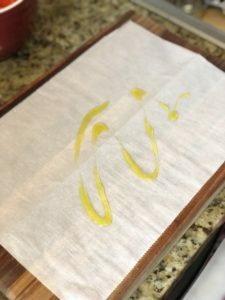 Place a sheet of parchment paper on counter and drizzle with a tiny bit of olive oil. 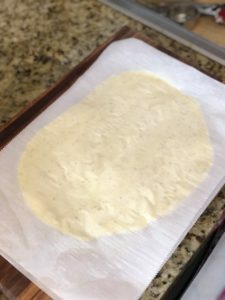 Place ball of dough in middle of bottom parchment paper. Oil a second sheet of parchment paper and place face down on top. Flatten down with your palm. 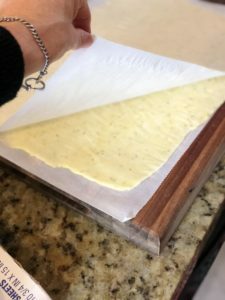 Then with a rolling pin (or something heavy and round) roll out dough into a 1/4″-1/2″ thickness in between the two sheets of parchment paper. When you have your desired thickness and shape peel off the top sheet of parchment paper. 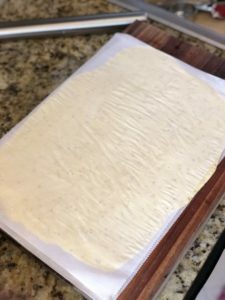 Once you have this sheet of dough you can decide what you want to make…pizza, pigs in a blanket, calzones, etc. 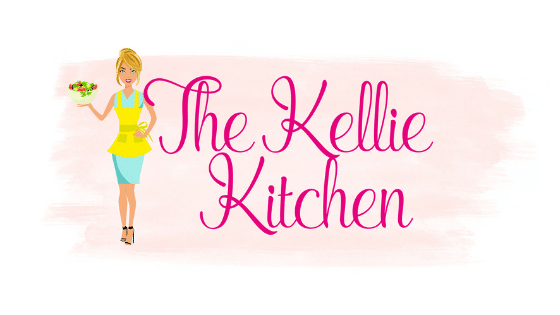 Special items may be needed by not necessary….pizza stone and rolling pin.